These are a very high standard of professional spanners, not to be confused with cheaper brands. 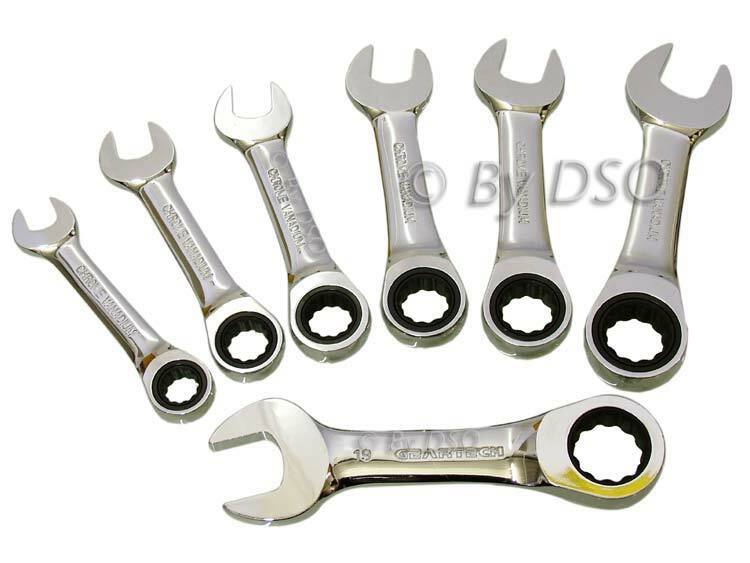 The spanners are made from chrome vanadium, have been mirror polished for a fine finish, heat treated for strength and durability and have been tested to last a life-time. They come with an open end and a ratchet ring on either side with an impressive 72 teeth (5 degrees increments). This set is for use in the full time professional workshop or the DIY enthusiast.